We focus this week upon one of the most powerful Torah Portions of the Year, centered round the descent of the LORD onto Mount Sinai and the release through His Living Word of the Ten Commandments to His people. Israel has just been given judges, but now they are given God’s standard by which those judges can judge what is GOOD. These Ten Commandments (or Ten Words) were not given to Moses alone up on the Mountain, but were heard coming forth from the fire by all of Israel. The release of these Words changed the direction of history for Israel and the world; they continue to stand as a Standard for righteous conduct among His children today. 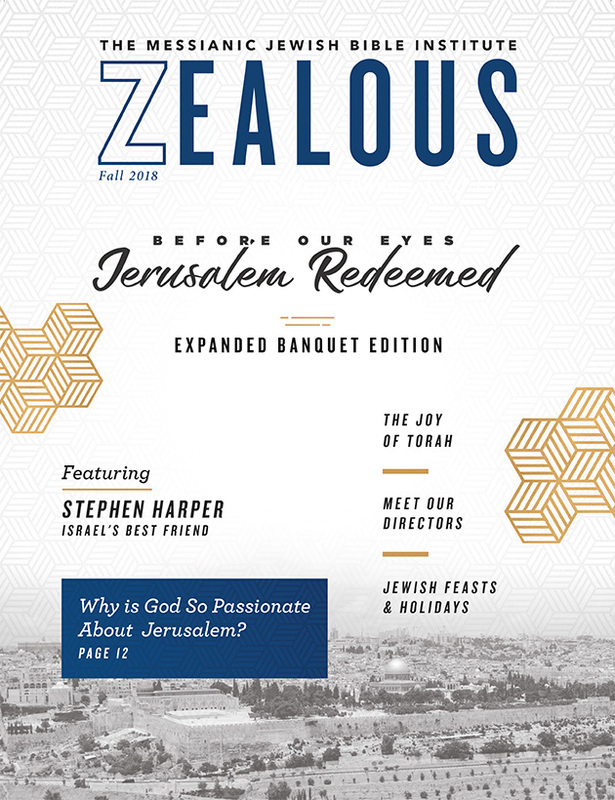 It is remarkable that, rather than just making use of Jethro’s name, the Hebrew word ho-ten—“father-in-law” is mentioned repeatedly (13 times) in this short chapter. Moses honors his father-in-law, listening to his counsels (18:24). Honoring one’s parents, including those of one’s spouse, will be the fifth of the Commandments released on the mountain in chapter 20). Moses is counseled by his father-in-law to set up a system of “judges” among the people. Yet the word for “select” here is not the same as that for “chose” in verse 25. Rather it is Hebrew “hazeh” – to watch, envision, to see prophetically, to foresee. It is of critical importance for the Body of Messiah in Israel that the choosing of leaders of godly fear, truth and honesty be done with supernatural vision and prophetic insight. That this system would include women as well as men is evidenced by the beginning of last week’s Haftarah: “Now Deborah, a prophetess, the wife of Lappidoth, was judging Israel at that time…and the sons of Israel came up to her for judgment.” (Judges 4:4-5). *Exodus 19:1-2. “On the third new moon (Rosh Chodesh—“head of the month”) of the setting out of the people of Israel from the land of Egypt, on that day they came into the desert of Sinai” …there Israel encamped before the mountain, while Moses went up to God” (Exodus 19: 1-2). The “mountain” is Horeb, the Mountain of God, where Moses had first encountered the LORD in the burning bush (Exodus 3:1-2). 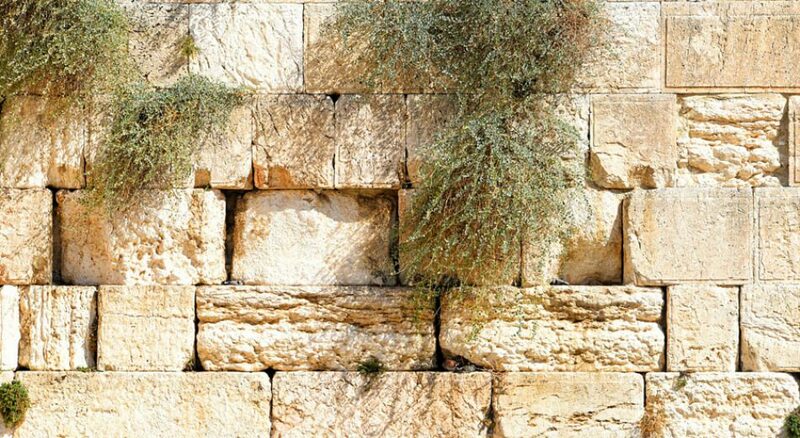 The Hebrew for “bush” in that passage is sneh. Some scholars believe that the name Sinai by which this mountain would henceforth be most often remembered in Israel’s was itself taken from sneh, which in the Hebrew it very much resembles. In that case, Mount Sinai would be the mountain of the bush out of which the LORD had spoken to Moses, and the mountain out of which He would now speak in the hearing of all Israel. Today, its location is not certain. Although traditionally assumed to lie either in the center or south-central of the Sinai peninsula, in recent years strong reasons have been advanced for suspecting that the “far side of the desert” (Exodus 3:1; Midian straddled both sides of the Gulf of Aqaba) referred in fact to the north-western corner of the Arabian peninsula—in which case the crossing of the Red Sea might have taken place at the southern end of the Gulf. PLEASE PRAY: For Israelis to realize that God still longs to “bring her to Himself”, that He has released a New Covenant (Jeremiah 31:31-33) in the blood of His Son Yeshua, in whom “grace and truth are realized” (John 1:17); that as Israel embraces that Covenant, she will find that He is still speaking, and as she hears and responds to His voice, she will find again the treasured place in His heart. This is the first specific mention of the “ram’s horn” in Scripture (apart from the ram caught “by its horns” in the thicket on Mount Moriah—Genesis 22:13). Here the Hebrew word is yovel. It is the name from which the English word “Jubilee” is derived—a day (Leviticus 25) every fifty years when blasts of a ram’s horn on Yom Kippur would signal liberty, and captives would be set free. The words used hereafter in this chapter (vss. 13, 16) when strong blasts of a rams horn would be released as the YHVH descends on Mount Sinai is shofar. Although both words will be used to describe the sounding of the rams horn at the battle of Jericho, it is shofar which is by far the most used throughout the Hebrew Scriptures. Almost every time the English translates “trumpet”, the word is shofar (the exceptions being the silver trumpets mentioned in Numbers 10, which is a different word still). “When the ram’s horn sounds a long blast, they shall come up to the mountain…” Some Hebrew commentators understand this to mean that the people were forbidden from ascending the mountain while the manifestation of God’s presence (signaled by short, increasingly powerful blasts) was resting upon it. After that had come to an end, there was one last long blast of the yovel/shofar – at which time the mountain became as any other mountain and could be approached by the people. The mountain was holy because of the presence of the Holy One upon it. *Exodus 19:20; 20:1. “Then YHVH came down upon Mount Sinai, on the top of the mountain…And Elohim spoke all these words, saying…” The Scriptures testify that just as God Himself was present in the burning bush (Ex. 3:4), so was He present at Mount Sinai—He “came down” (19:11, 20) and “spoke all these words” (the Ten Commandments). It is difficult for religious Jews to grasp the concept of God taking a literal form, of coming physically into our experience (If they allowed such a possibility, they might then be compelled to consider the claims of His having taken on human form in the person of Yeshua/Jesus!) To explain away the Scriptural implications, they have contrived many complex theories regarding such manifestations, whether to Abraham at Hebron, or to the other Patriarchs, or to His appearance to Moses in the bush and here at Mt. Sinai.. John 1 speaks powerfully of the “Living Word” which was with God and which was God, and which was made flesh and came into the world in the form of Yeshua the Messiah. PLEASE PRAY: for revelation that this same WORD/TORAH which came down and was released at Sinai in the hearing of all Israel, is that Word which took on flesh and came to bear away Her sin—and will return to rule and reign over a Kingdom of Peace. It is traditionally held that this giving of the Torah took place on what would later be celebrated as the Feast of Shavuot (Weeks, Pentecost). PLEASE PRAY: that this Holy Spirit, which breathed forth the Torah and all of the Scriptures and was released on Pentecost, would awaken revelation within Jewish hearts regarding the Living Word of God which has come down to Earth. All of the Ten Commandments are released grammatically in the 2nd person singular. They are God’s Law directed not to humankind in general, but towards each individual son and daughter of Adam. *Exodus 20:13. “You shall not murder.” In some older English translations the word “kill” was used. But the words for kill, for slaughter (as, for a sacrifice) and for murder are three different words in the Hebrew. *Exodus 20:21. “So the people stood afar off, but Moses drew near the thick cloud where God was.” This “thick cloud” (araphel) is translated “deep darkness” in Isaiah 60:2. But that darkness is over the “peoples”, and will be dispelled by the rising of the LORD, when His glory shall be “seen.” Today in Modern Hebrew araphel means “fog”—and Israel for the most part is “in a fog” regarding finding her God. PLEASE PRAY: For the veil to be removed from the eyes of God’s ancient people—that a light rise in their hearts and God’s glory will be seen—that they will be drawn into the “Cloud of Unknowing” to discover the One who has known them from afar and drawn them in lovingkindness. *Exodus 20:26. “Nor shall you go up by steps to My altar, that your nakedness may not be exposed on it.” It was God who first provided suitable clothing for hiding that which had awakened shame in Adam and Eve (Gen. 3:21). It would only be through the work of the Son that all humankind could again find themselves clothed—in His righteousness, and their shame taken away. “Clothe yourselves with the Lord Yeshua Messiah, and do not think about how to gratify the desires of the sinful nature” (Romans 13:14). PLEASE PRAY: For divine revelation of the Holiness of the LORD to accompany this reading—and of His Zeal and Jealousy which has already seen the birth of the “Child”—who will soon be released to return and rule over His kingdom in judgment and justice forever!